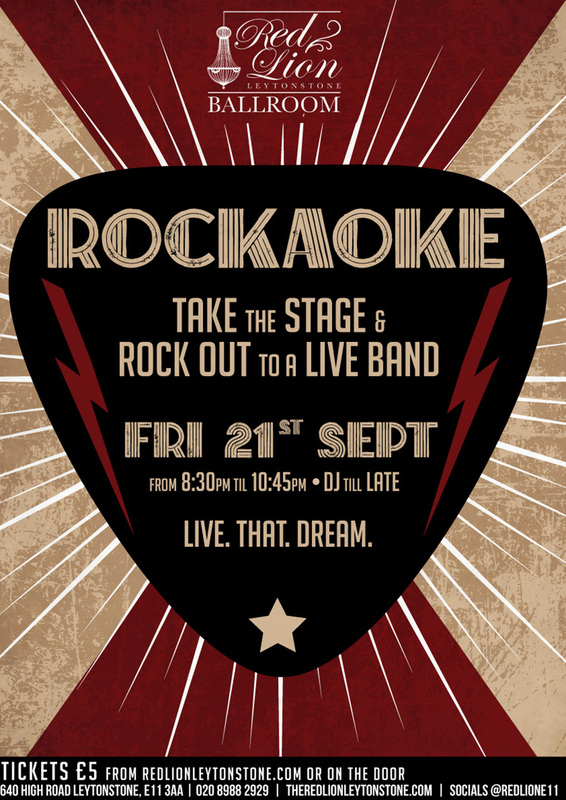 The first of a new monthly residency, the legendary Rockaoke night comes to the Ballroom at the Red Lion, Leytonstone this September! The stunning ballroom once hosted Led Zeppelin, Roxy and Genesis. Join us from 8.30pm for your chance to follow suit and rock out to a live band! Followed by a DJ til late.